Pruning, thinning, and disease control begins. Begin to prune walnut and evergreens for training, disease control, and stand maintenance. Continue to fill in gaps by planting the following trees along with ~500 Oak seedlings from my own nursery. * NOTE: This is the last year we ordered transplants from Griffith Nursery. 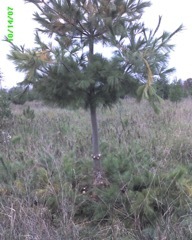 The first planting pines are getting tall enough to begin pruning. We are concentrating on the White Pine primarily due to the presence of White Pine Blister Rust in this area (North Western Wisconsin). The best way to protect young White Pine is to prune the bottom branches to allow good air circulation in to the trunk of the tree. It's not necessary to clear the cut branches and we leave these where they fall to provide valuable nutrients to the tree when they rot away (this usually only takes a few years). 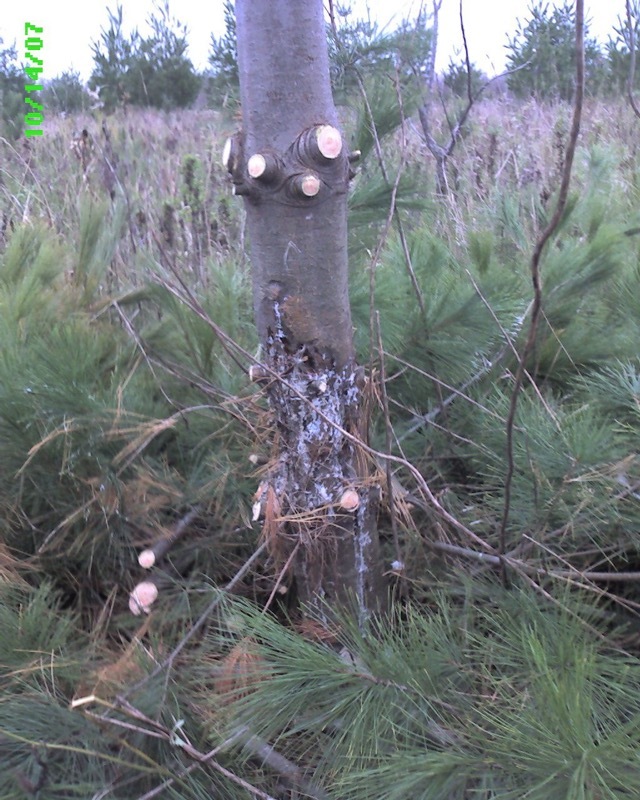 This is what a tree looks like after it has been infected with Blister Rust Fungus. The close-up shows the canker which has almost completely girdled the trunk. You can see that the tree doesn't look that sick except for the flagging on some of the branch tips. This tree is too young to survive and once I saw the degree of infection I cut it down and flattened it to the ground -- by cutting off the branches -- to speed up the decay. 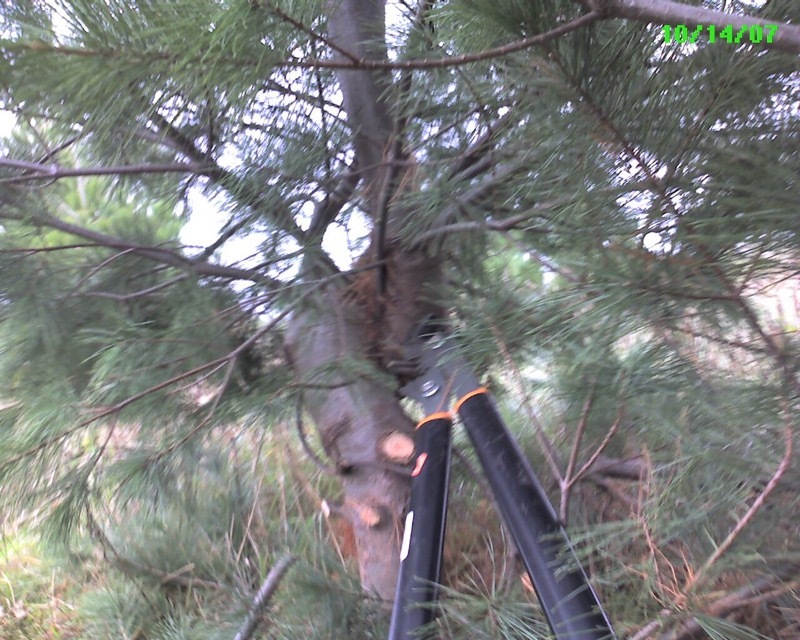 Many people say not to waste our time pruning pine because it won't make them that much more valuable when it comes time for market. 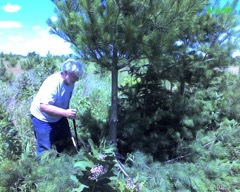 But with the White Pine, at least, any times we find a tree with early signs of the disease, or a canker on one or two branches. 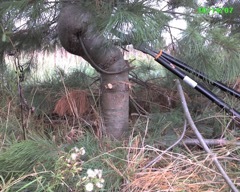 By cutting off the infected branches we can still save the tree. This is why pruning these pine is so satisfying. Dropping this tree would leave too big a hole right now. It's the only tree in the immediate area and I'd like it to help close in the canopy. Even with this bend it may still make a good pulp tree. I'm curious what will happen to if it keeps growing. Okay, that's more than two. Pick the two that you like the best. 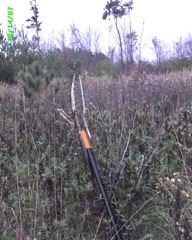 Ok, you get a nice straight Walnut sapling that has probably made it to a height where the deer will no longer eat the terminal bud every winter. Your good to go, right? Hah. This the second way that deer will get you. 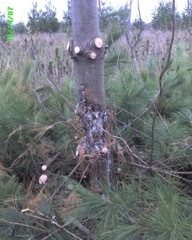 A buck has used this tree to rub the 'fuzz' on his horns. You'd think (hope) they'd use some big strong tree with a nice thick bark for such a job. But no. I can only guess why they seem to prefer little trees like this. maybe it's like a tooth pick and it can get into all the nooks and crannies. I will cut this trunk just below the bottom ot the tear and hope it will sprout a new branch that will become the new leader. 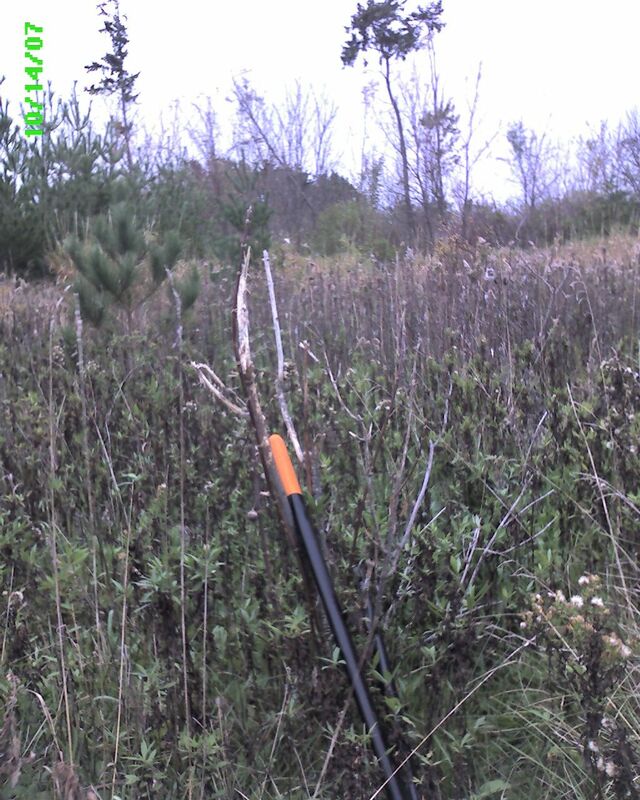 It should grow nice and straight from there - if the deer will leave the buds alone.